The full drum sheet music for “Four Out of Five” by Arctic Monkeys from the album Tranquility Base Hotel & Casino (2018). 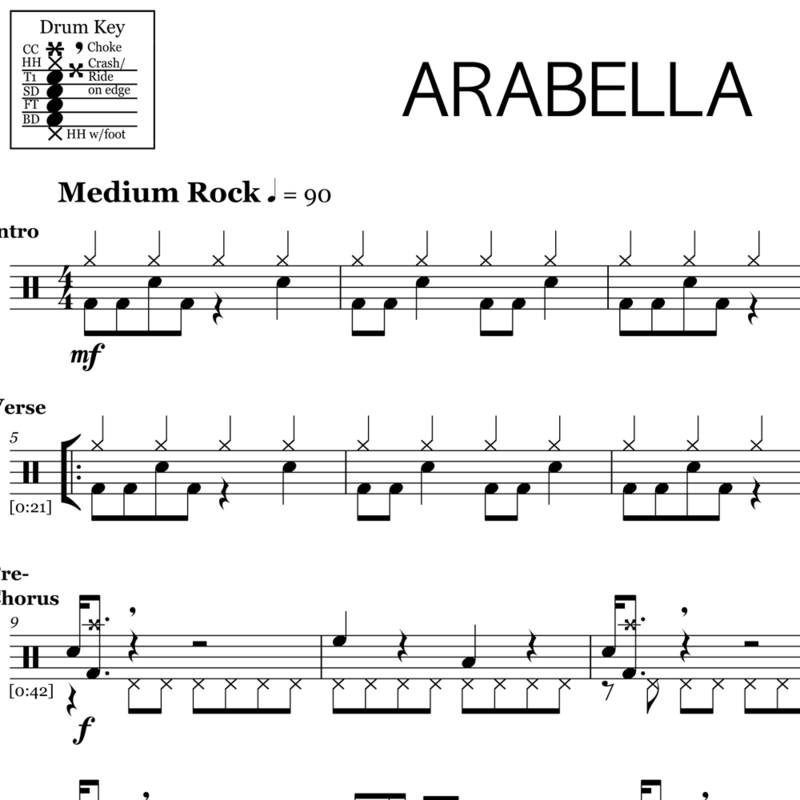 The full drum sheet music for "Arabella" by Arctic Monkeys from the album AM (2013). 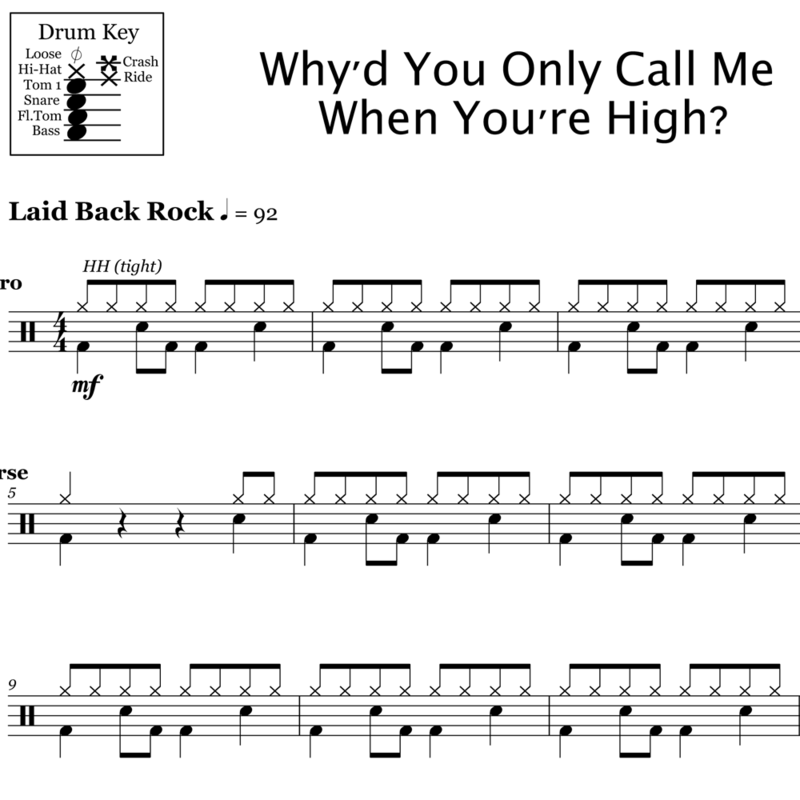 The full drum sheet music for "Why'd You Only Call Me When You're High?" by Arctic Monkeys from the album AM (2013). 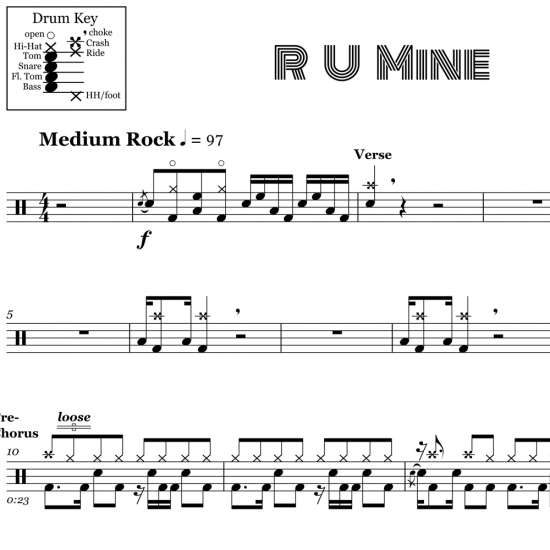 The full drum sheet music for "Do I Wanna Know?" by Arctic Monkeys from the album AM (2013). 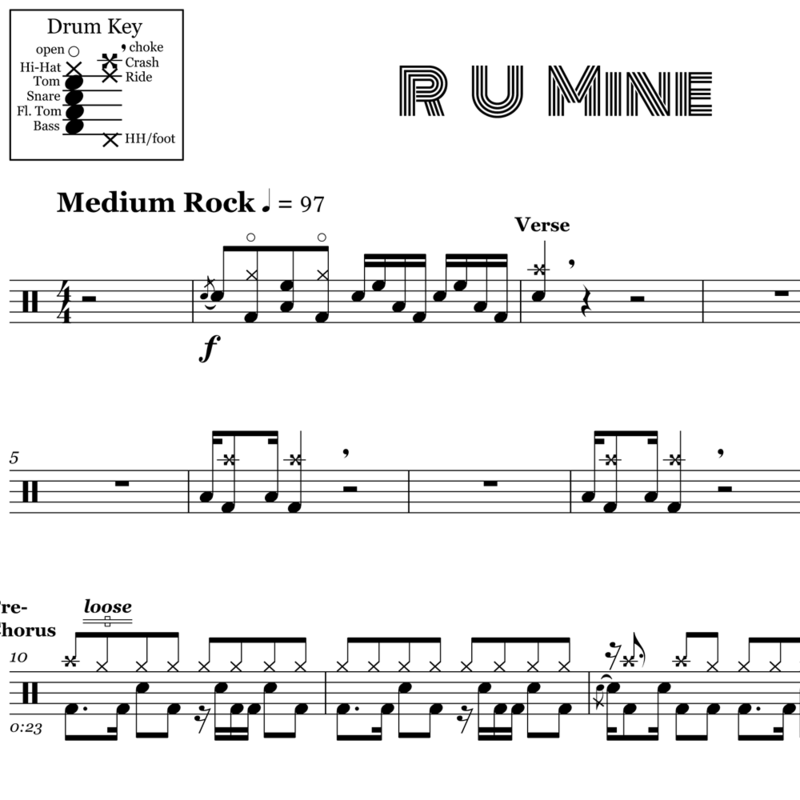 The full drum sheet music for "R U Mine" by Arctic Monkeys from the album AM (2013).